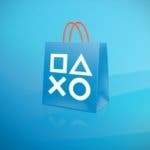 Sony ha publicado en su blog oficial las nuevas ofertas especiales que llegarán este fin de semana a la PlayStation Store de PlayStation 4. Estarán disponibles a partir de hoy hasta el día 18. 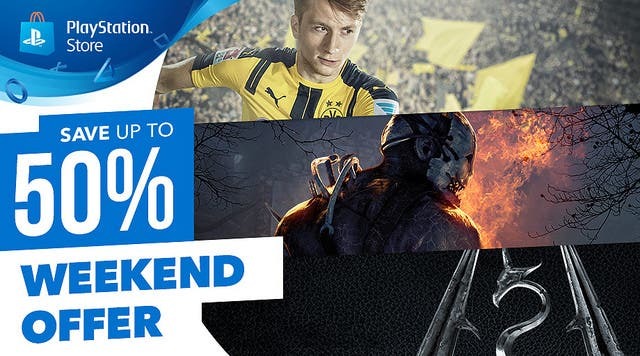 Tenemos ofertas en títulos de sagas destacadas como FIFA o Call of Duty, sin embargo lo más destacado de este fin de semana es Persona 5 por 44,95 euros y The Elder Scrolls V: Skyrim por 29,99 euros. También podemos encontrar Rocket League a un precio de 14,99 euros. Dead by Daylight: Special Edition. Rocket League – Game of the Year Edition. Call of Duty: Infinite Warfare – Digital Deluxe. Call of Duty: Infinite Warfare – Legacy Edition. Call of Duty: Infinite Warfare + Destiny – The Collection. Call of Duty: IW Legacy + Destiny – The Collection Bundle. NARUTO STORM 4 – Season Pass. NARUTO STORM 4 : Road to Boruto Expansion. The Elder Scrolls V: Skyrim Special Edition. Accel World VS. Sword Art Online. Rocket League – Back to the Future Car Pack. Rocket League – Batman v Superman: Dawn of Justice Car Pack. Rocket League – Chaos Run DLC Pack. Rocket League – Hot Wheels Bone Shaker. Rocket League – Hot Wheels Twin Mill III. Rocket League – Revenge of the Battle-Cars. Rocket League – Supersonic Fury DLC Pack. Rocket League – The Fate of the Furious Ice Charger. Rocket League – NBA Flag Pack.